I do not remember the tubes, the tests, or the icy cold of space. I do not remember losing six months of my life. 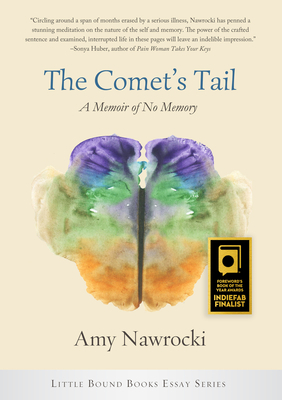 Amy Nawrocki is a Connecticut native, raised in Newtown and now living in Hamden. She earned a Bachelor’s degree from Sarah Lawrence College and a Masters of Fine Arts from the University of Arkansas. She has received numerous honors for her poetry, including awards from the Litchfield Review Poetry Contest, the Codhill Chapbook Competition, The Loft Anthology, Phi Kappa Phi, New Millennium Writings, and the Connecticut Poetry Society. She is the author of five poetry collections: Potato Eaters, Nomad’s End, Lune de Miel, Four Blue Eggs and Reconnaissance. With her husband, Eric D. Lehman, she wrote A History of Connecticut Wine, A History of Connecticut Food and Literary Connecticut. She teaches English and Creative Writing at the University of Bridgeport and is mother to two cats, Maple and Django.